Working in media and starting companies in San Diego for the last 15+ years I have seen many things change and many things stay the same. I have noticed lately that San Diego is creating some amazing digital media and marketing companies. As San Diego starts to establish itself as a technology hub of innovation I will highlight the companies that are gaining traction, raising financing, getting large partnerships or adding jobs. These companies are creating new technologies and new jobs in San Diego. After all, with technology you can work anywhere in the world and these companies are choosing San Diego. Zeeto Media – is a premium content publisher. What does premier mean? It means you can go to their website, GetItFree.us, and get daily free samples and coupons. Who doesn’t like free stuff? I do. It is so popular GetItFree.us has over 5 million Facebook “Likes.” That’s more likes than brands like Ikea, and you don’t have to put it together. The founders, Stephan Goss and Matt Marcin, are creating one of the best workspaces in Downtown San Diego with its lounge areas and foosball games in a very open work space. Zeeto Media have a creative work environment that fosters innovation and new ideas. Apparently I’m not the only person taking notice. The new mayor Kevin Faulkner has visited their offices and they were named one of the Top 5 Best Places to work in San Diego by the San Diego Business Journal. I think I’m going to see if I can get a consulting job with them for Foosball. Stephan? 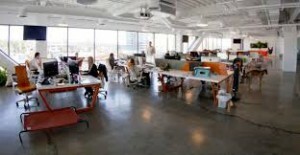 Embarke – also headquartered in Downtown San Diego is reinventing how email marketing is done. They provide an easy to use integration for a company’s current email marketing platform. I know that when I first look at my emails in the morning the first thing I do is delete all the emails I don’t want to read or view, even before I open them. Embarke’s CEO, Al Bsharah, has focused his company to help get these emails read instead of deleted. If you do email marketing it only takes 15 minutes to get better results. The Deal Current Network – is a performance based advertising network that helps business owners attract new customers through online coupons and deals. Groupon better watch their back. Deal Current has found success by combing the business models of Coupons.com (recent successful IPO) and Groupon.com (meteoric crash IPO), but partners with big media to get reach that Groupon had to pay Billions for. Mogl – a restaurant loyalty or rewards program located in Sorrento Valley is on a mission to end hunger in the US. Makes sense, eat at a restaurant and help others eat. Mogl has thousands of participating restaurants and all you have to do is sign up to save money and help feed others. They even have a hunger tracker where you can see how many meals you have donated. CEO, Jon Carder, is an active member of the startup community. He mentors other startups and founders through groups like Founder Institute and Evonexus. These are just a few that are building digital marketing platform in San Diego. I’ll explore more companies in the next few months. Know of a company doing great things in San Diego in digital marketing leave a comment below.